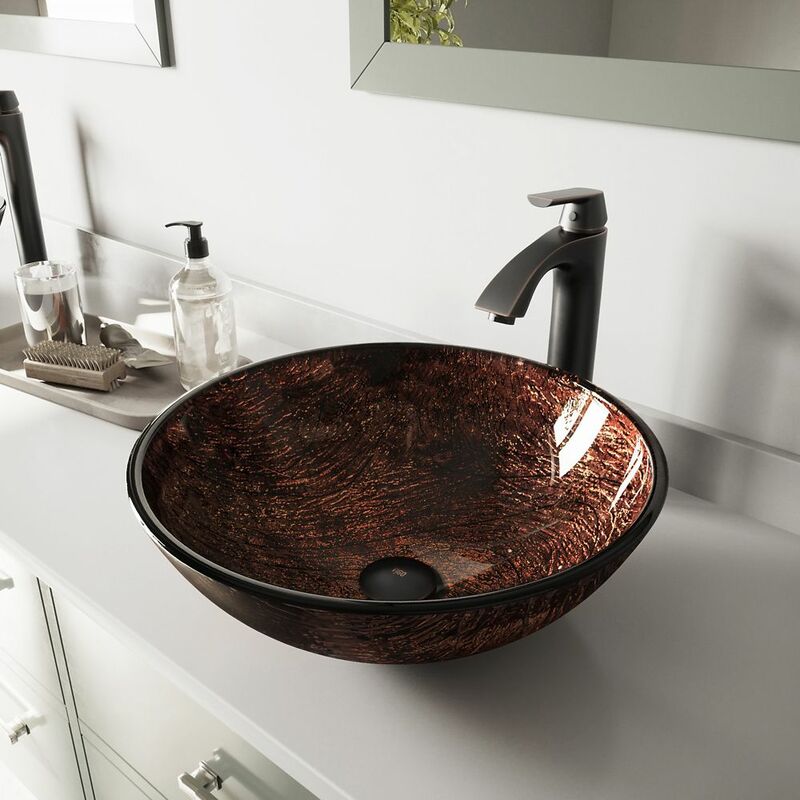 Glass Vessel Sink in Kenyan Twilight with Linus Faucet in Antique Rubbed Bronze is rated 5.0 out of 5 by 3. Rated 5 out of 5 by Leah from It’s stunning and was easy to install. I’m praying it’s... It’s stunning and was easy to install. I’m praying it’s as sturdy as it looks! Rated 5 out of 5 by RMcAnelley from Love it! I bought two of theses for a bathroom remodel. The look great and are durable and pretty.